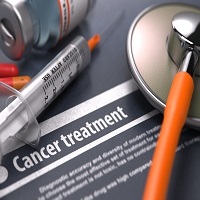 Immuno-Oncology (IO) looks set to become the fifth pillar of cancer treatment alongside surgery, radiotherapy, chemotherapy, and other targeted treatments according to GlobalData, a recognized leader in providing business information and analytics. The company’s health team analyzed over 4,000 clinical trials and more than 800 IO products in Phase I–III clinical trials to generate a number of unique actionable insights in their latest report: ‘Pharma Focus Visual Analysis of Immuno-Oncology Development and Opportunities’. The report predominantly focuses on developments in active immunotherapy products based on their molecular targets and molecule types. The team also assessed immune checkpoint modulators (based on 21 individual targets) together with a total of 18 solid tumor types and eight blood cancers. A large selection of treatments within immune-oncology focus on utilizing the immune system to induce an anti-tumor response, leading to tumor stabilization and potential remission from the disease. These treatments achieve their effects through the inhibition, or blockade, of immune checkpoint proteins (ICPs) such as CTLA-4 and PD-1. PD-(L)1 inhibitors are rapidly adopted in indications receiving approval due to significant survival benefit and relatively good safety profiles in comparison with other Standard Of Care (SOC) treatments. The number of regulatory designations generally correlates with the number of first-to-market indications. Of the big advances in cancer care over recent years, excitement around the clinical and market potential of IO has been driven by IO’s ability to harness the natural processes of the body’s immune system to search for, examine and eradicate foreign particles. IO teaches the immune system to recognise and destroy cancer cells and thereby enable the body to regain control. The future of IO looks brighter than ever, and IO drugs are now in a position to compete as monotherapies against traditional SOC chemotherapy regimens in the first line of the metastatic setting. In addition, these treatments have shown efficacy in a wide variety of indications offering a less toxic treatment alternative.